The countdown to Christmas is on! Things are starting to feel very festive at TRIBE HQ! Team TRIBE have put together their Christmas wish list, to make your life a little easier this year! What’s on team TRIBE's Christmas list this year? I am off skiing this Christmas, so really hoping someone gets me a good book to get stuck in to for those cosy evenings by the fire. “Let My People Go Surfing” would be a winner. It's a collection of memories and reflections of Yvon Chouinard, legendary climber and founder of clothing company Patagonia. I spend my days cycling around London from store to store, stopping frequently to check my Google maps for directions! A beeline would solve all my problems. Beeline - the smart compass for your bicycle – simply show you the direction to your destination and the distance to go. This should be number one on every cycling fanatics Christmas list! I became vegan in January and am always looking for the latest plant-based recipe books to help me get creative in the kitchen and to impress my non-vegan pals when they come round for dinner! PLANTLAB shares the innovations of world-renowned chef Matthew Kenney and celebrates innovative vegan cuisine at it’s best. With a surname like "Drinkwater", I can guarantee my pals will have bought me one of these revolutionary water bottles that can keep your water cold for up to 24 hours! If they haven't bought me a Chilly's bottle, then they've really missed a trick. We love these caps from Ciele - the Canadian performance and innovation brand. I'm off to Swaziland for Christmas, so one of these will definitely come in handy! I'm in desperate need for a TRIBE sweatshirt upgrade. It's travelled across Europe, run the Amsterdam Marathon and kept me warm on chilly Omani desert nights. The TRIBE original sweatshirt is a winter wardrobe essential for all. 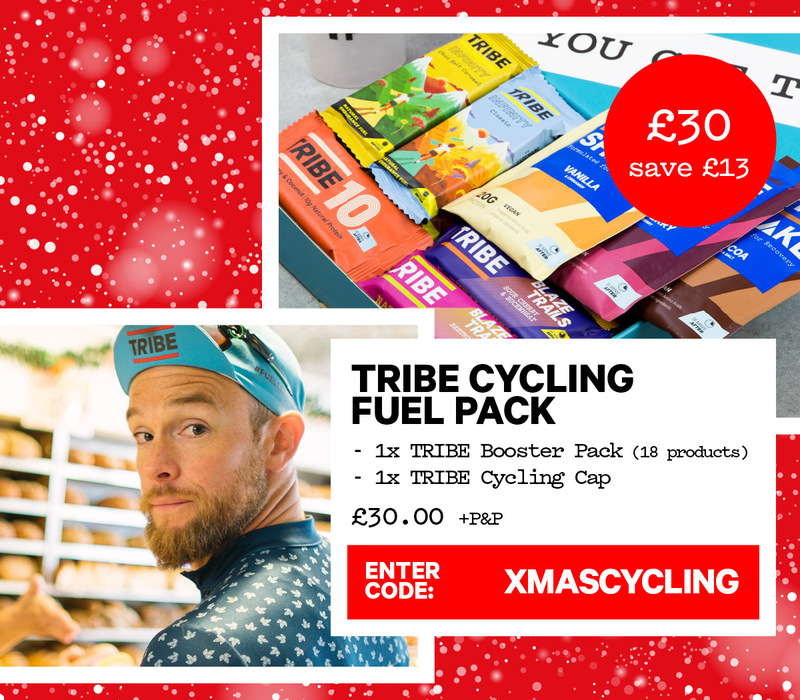 Kit your family out in TRIBE stash this Christmas - they'll love it! After running my first marathon in 6 year old running trainers earlier this year, it’s time for a new pair! With my next marathon on the horizon and hoping to break sub-4, I'm looking forward to kick starting my January training plan in these new Adidas sneaks! Love a new bit of running tech! The fitbit Charge 2 is a heart rate and fitness wristband that tracks activity, exercise and sleep. This will be a great gadget to help me smash my January training regime. MERRY CHRISTMAS FROM TEAM TRIBE.